Samsung is clearly a big believer in IoT (Internet of things)! 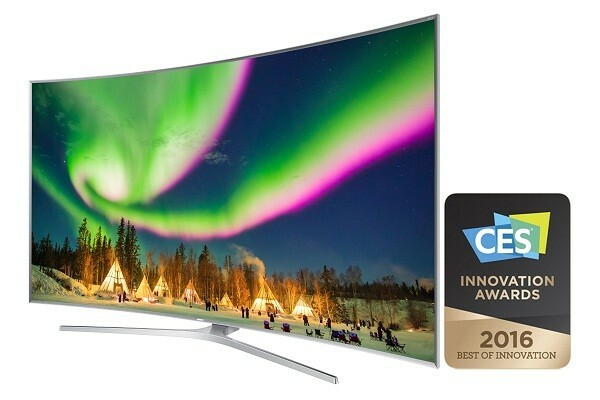 On Tuesday December 29th 2016, on the cusp of the start of CES 2016 which runs from Wednesday January 6th 2015 to Saturday January 9th 2015, Samsung revealed their entire line of 2016 Smart TV line-up will be IoT ready. Their 2016 offerings will be connected via the SmartThings Platform, an open Platform that allows users to connect, manage and control IoT devices and services. Not only that, Samsung has now made their 2016 SUHD TVs the central controller of your home using their IoT hub technology. Full support of connectivity with SmartThings compatible devices, however, will require the SmartThings Extend USB adaptor. So what exactly is the SmartThings Platform? The SmartThings Platform allows consumers to access their smart devices from their smartphone using a single App via the web based interface on their SUHD TV. Customer can easily connect, manage and control their smart home devices and services through a single, simple user interface instead of a myriad of individual apps for each device. 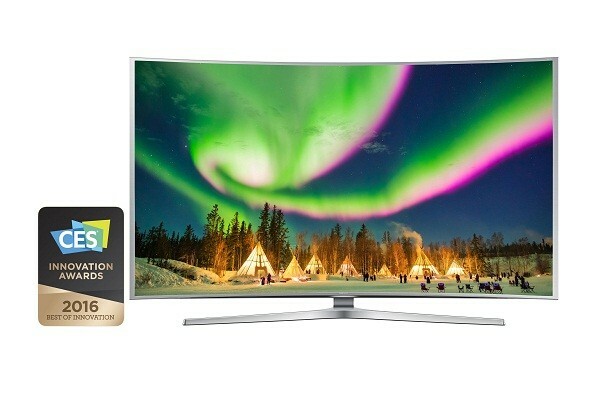 The SmartThings Platform makes the new line of 2016 SUHD TV’s the brain behind Samsung’s expanding IoT ecosystem. 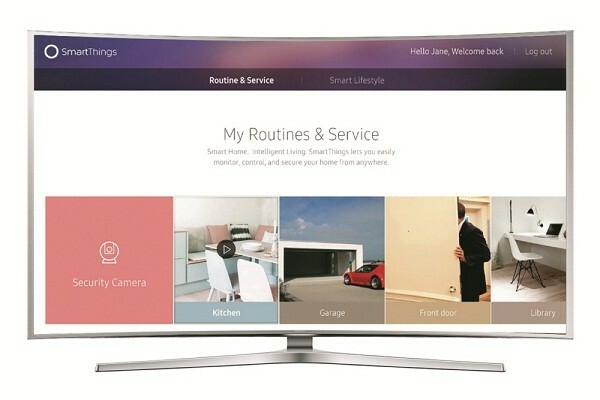 Samsung intends to demonstrate this futuristic system at CES 2016 and hopefully snag some customers, to quote CEO and Co-founder of SmartThings, Alex Hawkinson, quote: “With Samsung Smart TVs working with the SmartThings technology, we have an opportunity to reach millions of households. Applying this technology into current household devices is a major step forwards that will make it much easier for everyone to experience the benefits of a smart home”. So how would this work in real life, exactly? To demonstrate, I’ll explain how the SmartThings Platform works using a scenario familiar to all lovers of Samsung Smart TV’s! You’re sitting at home, awaiting guests to arrive. Being a little tired, you decided to plop down in front of the TV while your children entertain themselves playing music from their smartphones using Samsung’s Multiroom App as described in How Samsung’s Multiroom App Controls your Wireless Speakers. Suddenly the Motion sensors get tripped off, indicating that someone is coming towards your house. 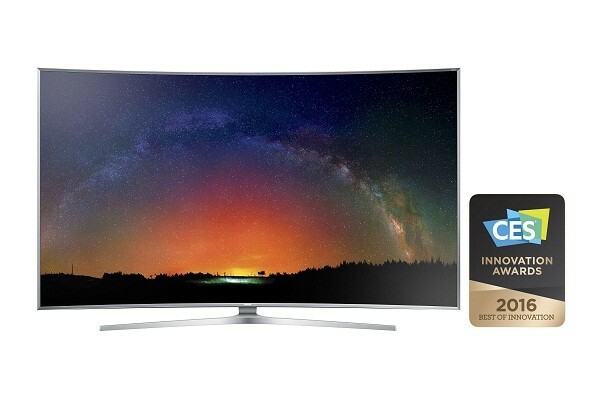 You see the alert pop-up on both your smartphone as well as on your Smart TV. Quickly, you swivel around in your armchair as its action time! You vault over the couch and land in the sofa, activating the internet connected outdoor camera via the SmartThings menu to check out your visitor and determine who they are and who’s with them. After all, this person was expected until later in the evening, but the person now ringing on your door is hours early! But a quick glance at the screen makes you freeze in terror, as it’s your evil mother-in-law and your wife……and the kids have made the place a mess! Quickly, you spring to action! While they start banging away at the door, impatient for you to open as your wife left her smartphone, you hurriedly have them clean up the mess. Luckily, the door is locked using a specially coded smart lock and only you can unlock it via the SmartThings Platform App on your Samsung Galaxy S6 Edge Plus she got you for Christmas, so they can’t come in and discover what’s up. Five minutes later, you open the door, kiss your wife, grudgingly hug your evil mother-in-law and mumble an excuse about having to attend to a pie in the oven as they burst into the house, now spotless and kid-free. Best of all, while your mother-in-law start to nag you, you can always dim the lights and relax and chill with your wife while watching her favourite show on the Smart TV. The day is saved once again thanks to the Samsung SmartThings Platform! Samsung SmartThings Platform connects every smart device in your home, giving you total control and providing more security and peace of mind from all danger, including your evil mother-in-law, whether at home or away. Samsung’s plan to demonstrate this and much more as they activate the SmartThings Platform regionally to expand the Platform’s availability. 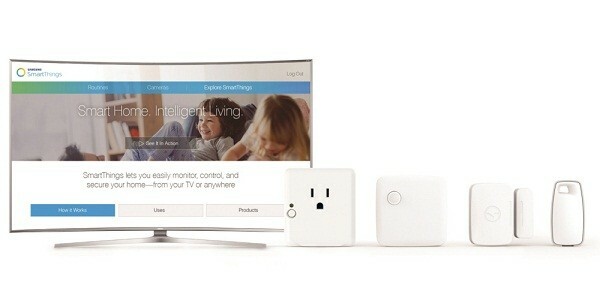 Sharing is caring, so visit the SmartThings website at www.smartthings.com and share it with your friends in need of protection.